My wife bought this one for me several months ago, and I used it since for every one of my bike tours. 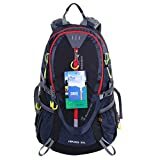 It’s waterproof, most of it at least, and can easily withstand short to slightly longer exposure on average showers, while keeping your stuff dry. It has a lot of storage compartments, nicely organized, and reliable zipper mechanisms that function properly even after months of use. 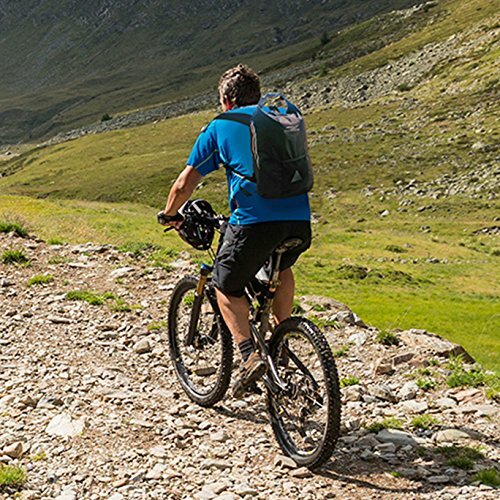 Convenient and comfortable, this is a perfect option when choosing a cycling backpack. The back padding will help you wear this for hours to an end and never feel discomfort. It is designed in a way that allows air to circulate freely, while maintaining a tight fit. The shoulder straps are also way more comfortable than what you’d expect given the price. 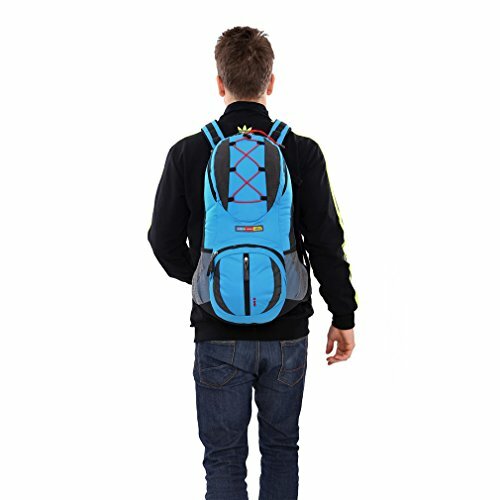 A reliable and strong chest strap will secure the backpack in place, even if you tend to drive aggressively. All straps are easy to readjust and incredibly durable. The inside compartments are meticulously divided, so you can place all of your items and reach them comfortably without having to dig through all the other stuff. The design itself is slightly unusual, and looks great when strapped to your back. Each compartment serves a purpose, and you’ll find that this bicycle travel backpack is way more organized than other models. 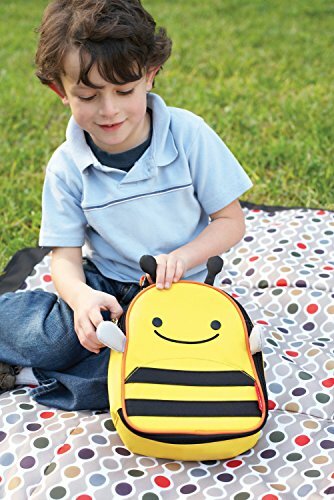 Each zipper has an additional small tie attached, so you can use it in a hurry without frustration. The price is super affordable, and unmatched within its category. The price/quality ration, on the other hand is superb. When you think about what you get for such a low price, this is one heck of a deal. The surface is reflective on certain spots, so this makes it safe for you to drive at night. You also have a lifesaving whistle included. 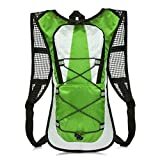 Not a lot of reviews around the net, but those that exist praise the quality of this bicycle travel backpack, as well as the protective padding and ergonomically designed compartment divisions. I love how much value I’m getting for such low and affordable price, and how durable this product is, so far. If you are still deciding on purchasing a bicycle backpack, this one here is everything you’ll ever need. Lightweight, super organized and practical, you’ll enjoy using it for ages. 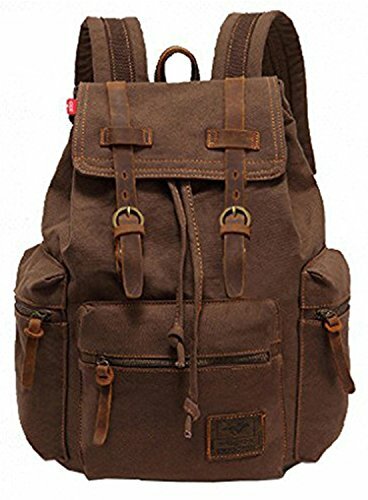 Backpacks VOKUL Vintage Casual Canvas Le..